When The CW's DC Comics televisual universe first launched with Arrow back in Fall 2012, the world was street level realism and gritty heroics with one man and his bow. Four years later and having already spawned the hit scarlet speedster spin-off, The Flash, their shared TV landscape is looking far more fantastical. 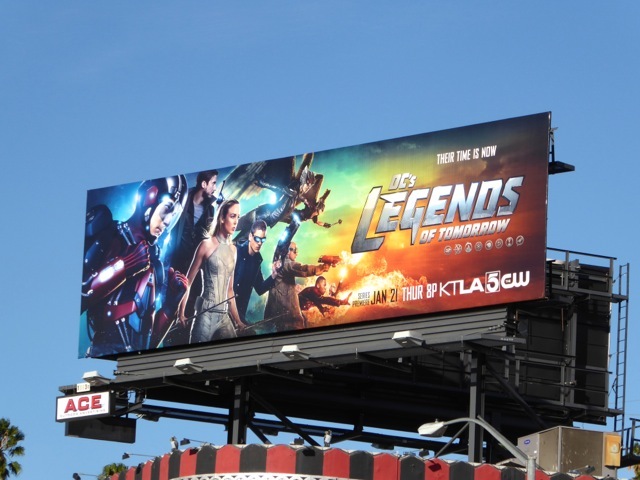 Enter DC's Legends of Tomorrow, the latest TV spin-off featuring a whole host of secondary heroes and villains from the two shows with technological, mystical and time-traveling origins. Doctor Who's Arthur Darvill unites this ragtag band of misfits as time-hopping rogue from the future, 'Rip Hunter', to help thwart the dastardly threat of the long-lived immortal, 'Vandal Savage'. 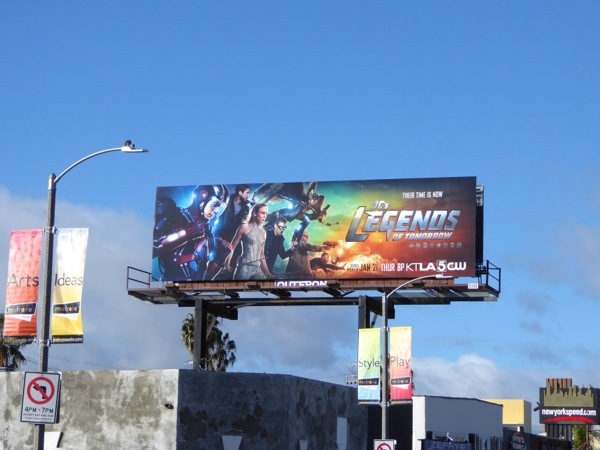 Fans of the Arrow and The Flash will love seeing fan-favourite supporting characters getting more time in the spotlight, like Caity Lotz's recently resurrected 'White Canary', Brandon Routh's power suit-wearing, size-changing 'Atom', Wentworth Miller's villainous 'Captain Cold' and Dominic Purcell's arsonist 'Heat Wave', Ciara Renée's 'Hawkgirl' and Falk Hentschel's 'Hawkman', plus Victor Garber's 'Professor Martin Stein', the other half of atomic hero 'Firestorm' with newcomer 'Franz Drameh'. 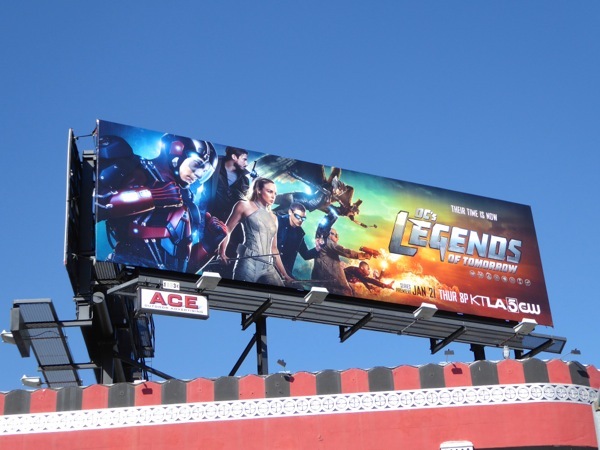 The launch billboard for DC's Legends of Tomorrow was first snapped along West Hollywood's Sunset Strip above the Whisky A Go-Go club on December 23, 2015, then they exploded all over the skies of L.A., including further east along Sunset Boulevard and above Melrose Avenue through January 7, 2016. 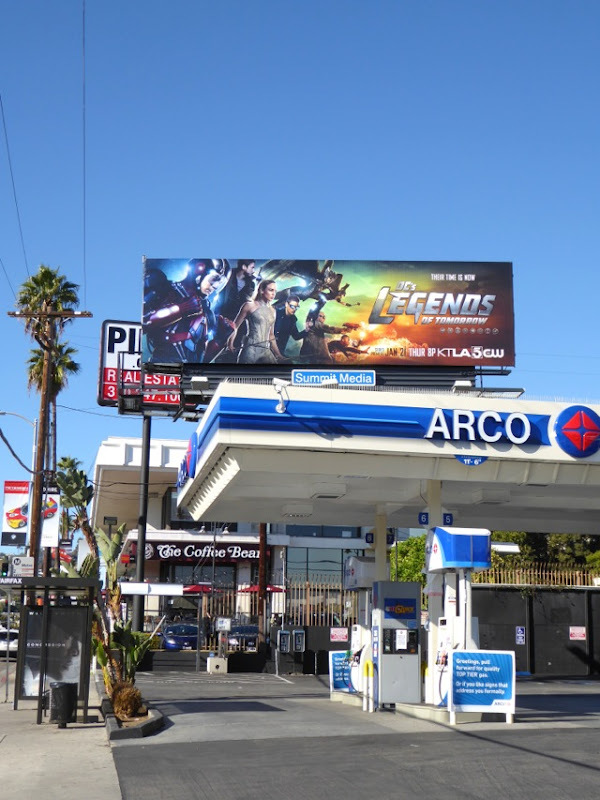 If you're a fan of The CW's superhero shows, be sure to also enjoy these billboards for The Flash and billboards for Arrow. 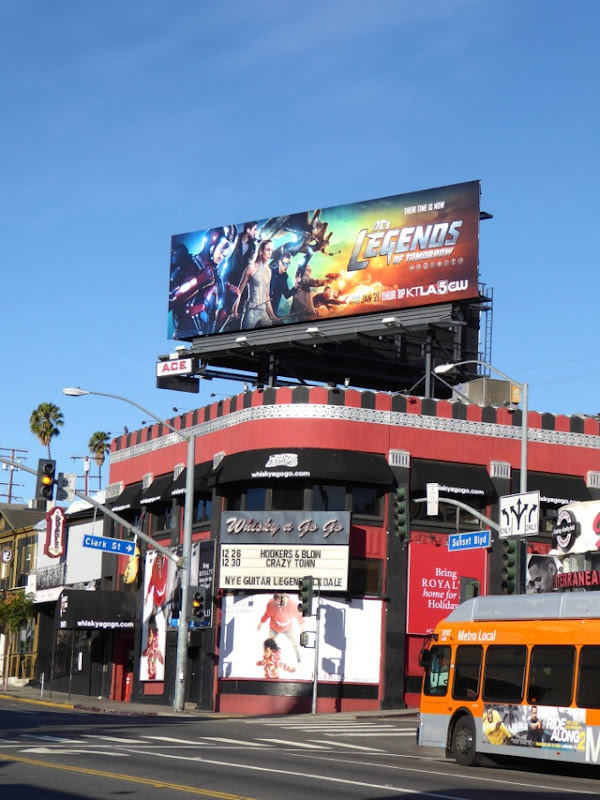 Compared to the big screen where DC has faltered with film flops like Green Lantern and was slow to launch an interconnecting universe (which Batman v Superman: Dawn of Justice is hoping to remedy), their TV world is certainly growing larger and larger by the season. 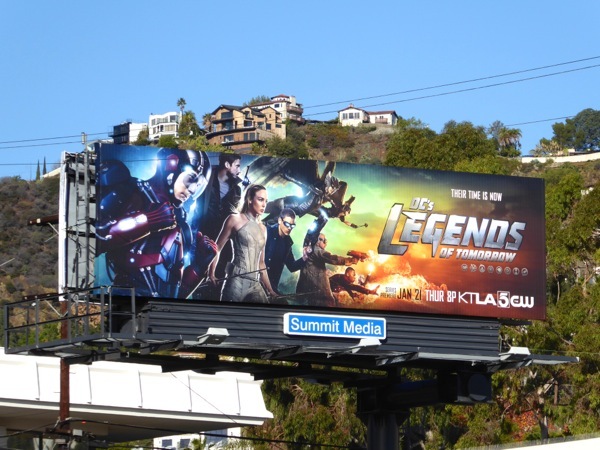 Now with such a sprawling cast, these 'Legends' certainly do seem to be expendable, so who do you think will make the ultimate sacrifice first?